CMS extension under <system.webServer> tags in web.config is not mapped. IIS 5/6 uses IIS Configuration Manager tool for mapping custom extensions. Since IIS 7 all custom extension are kept in web.config file. 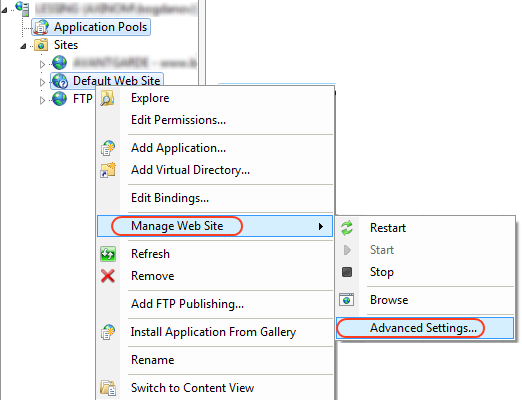 You can see how you are able to configure custom extension in our IIS7 installation guide. Older AxCMS versions are only runnable under Classic Application Pool. The last step is to define your custom extension in web.config file. AxCMS 9 is able to work under the both classic and integrated application pools.